The inclusion of pensions in the cost of education. But, in light of Illinois’ current financial status and the desire to have a solution that meets the needs of school children and their families in all parts of the state, we believe SB 1 is the best model to achieve that goal. We also agree that SB 1 provides a funding model that more equitably funds our schools and gives all students an opportunity to succeed. 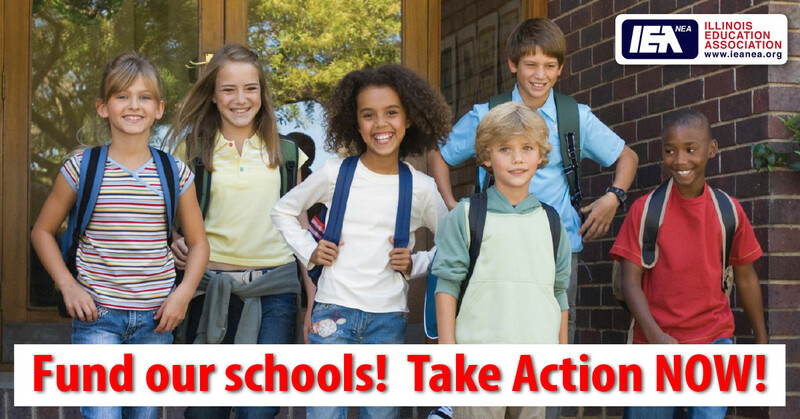 So, based upon these considerations, we stand in support of SB 1. In light of that, there are some items below, for you to take a look at and act upon. 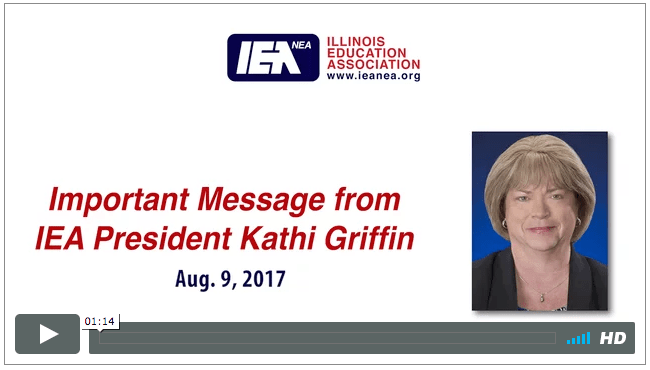 Please see a video message from our new IEA President Kathi Griffin, an invitation to email your state representative and some opportunities to attend several forums around the state on SB 1 where you can voice your opinions and support.